Eric H. Zielinski & Co., LLC, a full-service Fairfield County CPA firm, caters to closely held and family run businesses of all sizes. Making confident decisions without reliable financial information is difficult. That's why we work to make the accounting function easy and ensure that your financial records are maintained correctly and accurately. You can then focus your attention on turning your vision into reality. 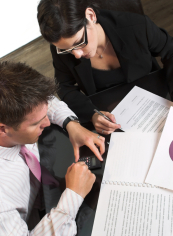 When you work with us, you will receive personalized and responsive service from dedicated accounting professionals. Let us help you manage your business and keep your finances on track. When you feel confident that your accounting system accurately reflects your current situation, you can concentrate on the other key aspects of running your business.